I’m definitely guilty of this but never realized it could be affecting my health. Timing is perfect too. Just visited the doctor and he basically told me I’m overstressed and the is probably why. I literally spend hours n from to father computer and it seems I don’t get anywhere near the amount done that I think I should. Gonna take ur advice and see how much my productivity improves. Great article reminding us on the value of “play” in our fast paced and sometimes insane day to day business struggles. We all need a break when things reach their critical mass, psychologically speaking. Well done and we’ll said! 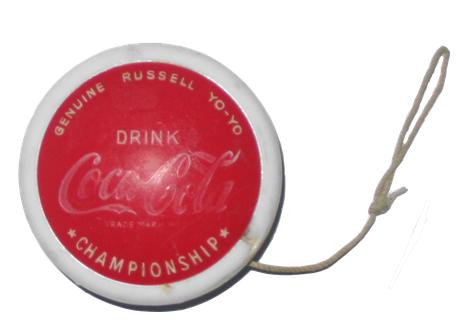 When I was a kid in the 70’s the American made yoyos cost $4 – 5.00…. It has been so long since I played with one that I had completely forgot the Duncan YoYo. No longer a .40 string on the finger -stress busting -mesmerizing toy they now cost up to nearly $100 bucks! YIKES!! I am getting old. I just looked on Amazon and they have a good selection and trick books, accessories and repair kits for the more expensive versions. Thanks for the reminder and thanks for the important health tips. Gotta go and get my order in. I am thinking about this one. What do you think? That one looks very similar to my red one! It’s a lot of fun… and that shape makes the tricks so much easier. Haha! 🙂 Cheers! What a refreshing break from all of the propaganda I get in my e-mail every day. Thanks for the reminder of what we should all do every day! Very profound. Your yo-yo gets you up and moving. It is analogous to the spirit of entrepreneurship, the very act of moving and shaking things around you.